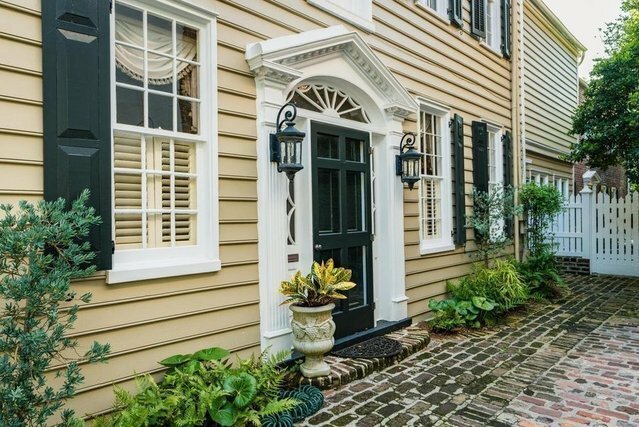 Charming late 18th century, classic Charleston Single with a prime historic location between Orange and King Streets, South of Broad.Over time, the masonry kitchen house has been nicely incorporated into the main home floorplan. All the rooms overlook the charming side and rear gardens. The interior features historic woodwork in the main rooms, heart pine floors, 18th century staircase details. Currently used as a four bedroom with the second floor front as a library.Recent updates with a great opportunity to create a large master suite to the second floor rear. Off-street parking, no conservation easements have been taken. Owner has made no flood claims during ownership (owned since 2005).